It’s 7:30 AM, the Downey woodpecker comes down from his tree and “hops” to one of the two suet feeders. 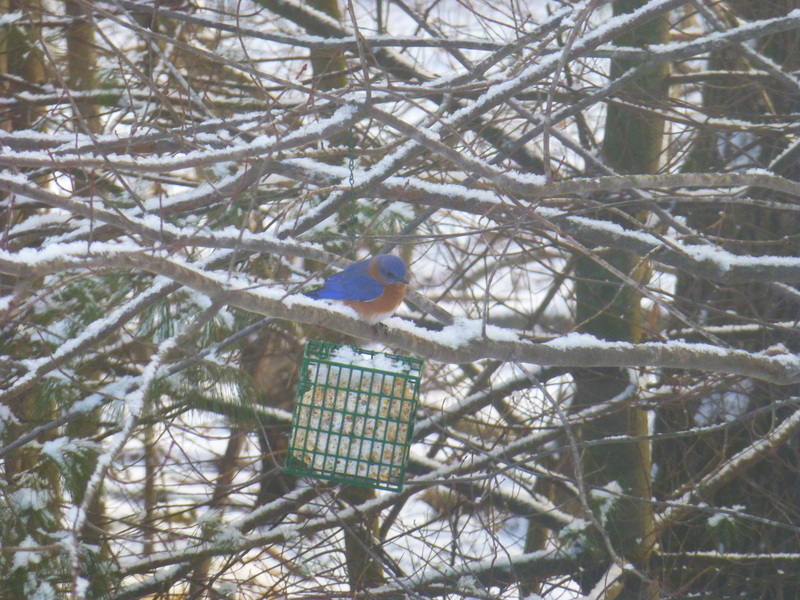 His mate follows suit and comes down to the other feeder moments later. Soon the first dark-eyed junco lands in for his breakfast and signals to the others that the eats are good. 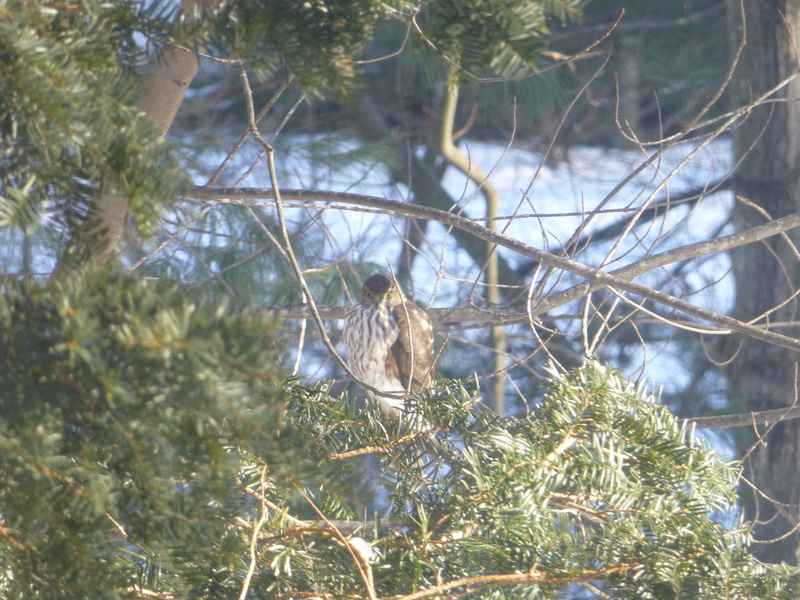 Within three minutes 15 other junco’s have joined him on the ground under the feeder. At 8AM the 10 Mourning Doves come down from the trees for their turn at the feeder. Two to Three of them,who think that they are small birds, rest on the small feeder bottom while the rest nibble the droppings under the feeder. A tufted titmouse (or two) and two chickadees dart in around them and try to get a nibble at the feeder, although it is hard with the Mourning Doves taking up the valuable space. A white breasted nuthatch comes down to nibble at the suet, while a Hairy woodpecker comes to nibble at the other suet feeder. This is a typical morning at our bird feeder and on counting days we are glued to the window, watching for that odd visitor. We have had a cardinal, a few blue jays, a pair of bluebirds back in November and now they seem to be more regular, red bellied wood peckers, house sparrows, gold finches, red breasted nuthatch and even a small hawk! But the regulars come like clockwork and we look forward to seeing them each day. 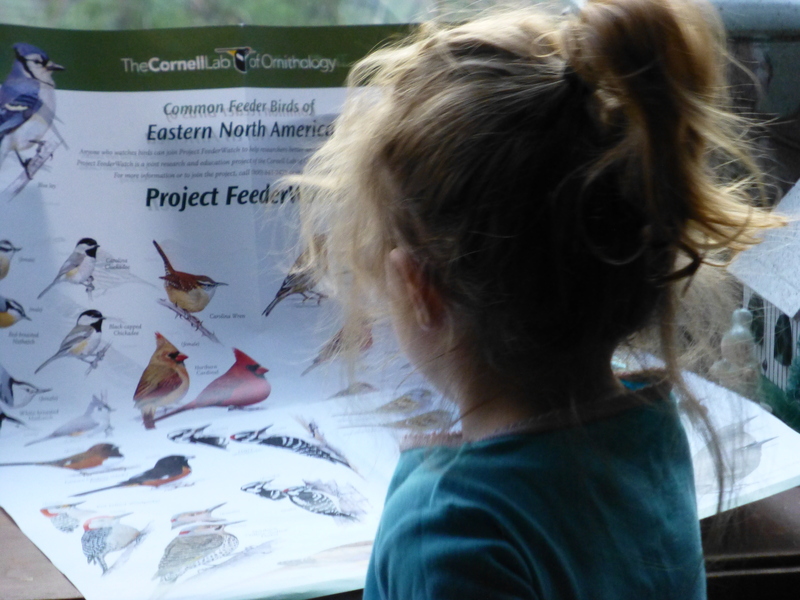 This is the first year we have participated in Project FeederWatch through Cornell University. It is a scientific study, where home birders across the country count the birds at their feeders from November-April. You have two scheduled counting days a week (okay if you miss a week here and there) and the data can either be entered in on paper and mailed in or done online. The initial fee is $15 and with that fee you get a beautiful colored poster and other materials to help you learn how to identify and count your birds. We are now at the point where Wally enters in all the data online by himself. He loves being part of this large scientific study and I love how you can go in and look at the data from all over the country or your state and compare it to what you have seen at your feeder. 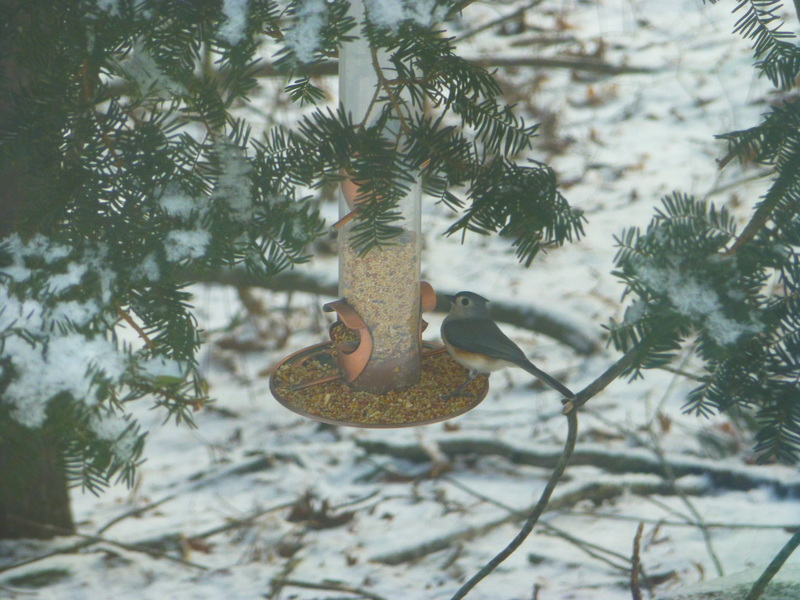 If you want to learn more, check out the Project FeederWatch website. They are now running at 2 for 1 promotion where you can participate for the rest of this year (season ends in April) and all of next year for one $15 fee. It is a wonderful program and the entire family has really enjoyed it. Great Photos and wonderful project. So special for you all to see Bluebirds!